Social Media Week September kicks off today and we want to send a huge good luck to all eight cities participating! 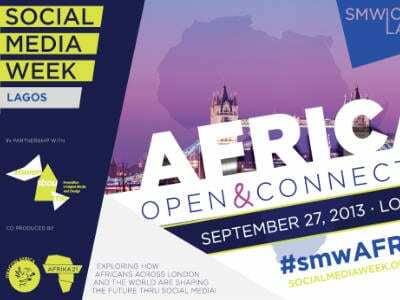 Africa: Open & Connected is part of the SMW London schedule and its shaping up to be EPIC! Check out the final schedule here and see you Friday! and networking. Enjoy Afro-Brit style ‘small chops’ and wine care of SMW Lagos and Ravensbourne.